A little shop dedicated to all things geek. Thanks for visiting! We are a team of nerdtastic lovebirds using our creative energies to conquer the universe! Totty the Toadstool tantalisingly tempts tushies to take time-outs. 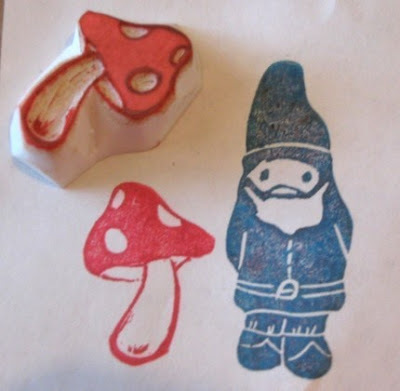 What gnome would be complete without a mushroom to sit on? Our original design, Totty is handcarved from vinyl carving block & measures approx 1 1/2″ tall & 1″ wide. Can be used with any type of inkpad. 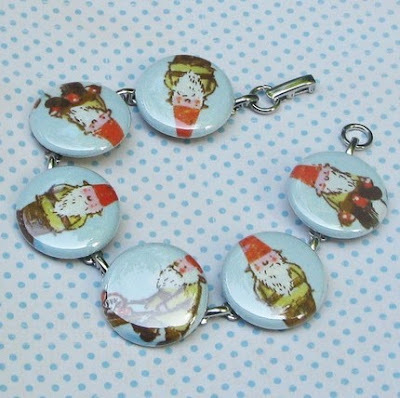 Perfect for tags, stationery, envelopes, bookmarks, etc. Contest ends March 16th and is open internationally. It is no secret that I absolutely adore gnomes. Have yourself a Merry Little Christmas! 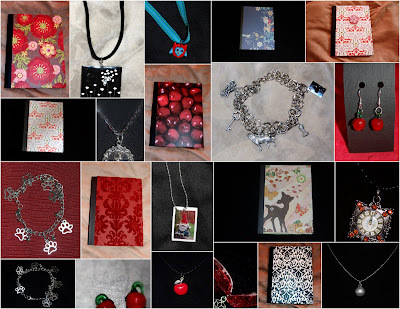 Visit Heather’s Etsy shop for these great stocking stuffers! Or Put a Cullen under your tree by purchasing our CD!